We are a global, cloud-based software company, specializing in human capital management. We use our very own solutions and expertise to drive our business to success. Organizations of all sizes around the globe choose us to do the same for them. Our culture of excellence is rooted in the belief that happy, healthy, and engaged employees create the best outcomes for customers. We believe in diversity and equality, and foster an inclusive culture that celebrates all our people. We create technology for the future of work, and we’d love for you to join us on our journey to make work life better for all. Ceridian Makes Work Life Better for YOU! 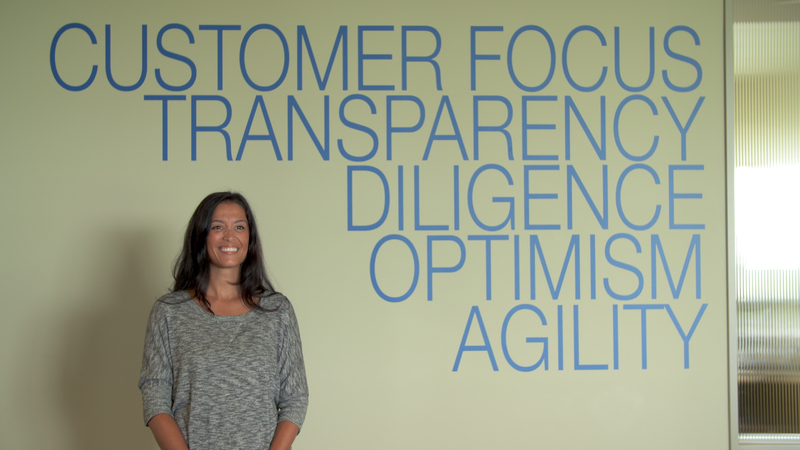 Our people are the heart of everything we do and the decisions we make at Ceridian. We’re a fast-moving, innovative organization, and we believe in challenging ourselves to be the best we can be every day. While we work hard, we play hard too, just like the old saying goes. Our focus on the workplace and employee experience has resulted in many awards for our culture, our people, and our programs. We build advocacy through our people. We know our differences make Ceridian a great place to work. We understand that focusing on our people means focusing on their families too. We believe in building comprehensive, forward-thinking experiences that enable people to be the best version of themselves both at and away from work. Our people come first, and that is why we continue to be a certified Great Place to Work, A Top 15 Recommended organization by Glassdoor, and one of Canada’s Top 100 Employers. I am proud to be a part of an organization that fosters a culture of freedom, discipline, trust, respect, and transparency. I am truly honored to work alongside so many high performing, talented individuals. I welcome you to take the next step on your path of excellence and learn first-hand what makes us so special. Our people know where we’re headed and will do whatever it takes to get us there. Our dedicated people have made it possible for Ceridian to be recognized for our culture of appreciation, freedom, advocacy, and excellence. We intentionally drive change to be leaders in our industry, known for our inclusive, supportive, and multicultural workplace. Our team members and our values create a workplace that is exciting and constantly evolving. We embrace new ideas and continue to build on our flexible workplace. We believe in doing the right thing, no matter what. When you get to do something you are passionate about with a team you trust, positive results are a natural outcome. We are fortunate to be an employer of choice for so many. We strive to make work life better for our people, our customers and our communities. We believe in continually challenging ourselves to develop, improve, and innovate – both personally and professionally. Open communication is reflected across our organization, from our senior leadership’s open doors, to frequent engagement surveys, and our employee idea forum, we’re always listening and we want to hear what our people have to say. Our Way, our values are the foundation of our programs, including well-being, continuous learning, workplace flexibility, and social responsibility initiatives. We believe in a workplace where our people can thrive, grow, and reach new levels of success together. We believe in selecting world class talent who embrace opportunities and are impactful team players. We offer a variety of benefits and perks to make work life better for every person at Ceridian. By listening to our people, we’ve created programs that enhance the employee and workplace experience. We’re committed to creating an engaging, fun, and inclusive environment for all our people. "I work with people who are fun, and intelligent. I love the collaboration I have with my colleagues fostering an environment of Teamwork." “Every day is different and exciting. I’m surrounded by fantastic people with diverse backgrounds who are all committed to making things better." Our people are at the heart of what we do. Ceridian believes in diversity and fosters a culture that engages and celebrates everyone. This means investing in people and supporting the advancement of women and minority groups in its workforce. Our YOUnity program builds an inclusive environment where every employee is valued, respected, and supported. YOUnity groups celebrate awareness days and cultural events, and host events throughout the year which all employees are invited to attend. Ceridian is a proud founding sponsor of #MovetheDial and recently achieved global EDGE certification, the leading global and business certification standard for evaluating corporate commitment to gender equality. At Ceridian, giving back to our communities has always been important. With the establishment of our own charity, Ceridian Cares, we’ve made a commitment to do that in a very direct, meaningful way. The mission of Ceridian Cares is to be an employee-driven charity that makes a difference by supporting people and improving the communities in which we live and work. With the employee-raised funds, Ceridian Cares provides grants directly to families and individuals in need in our communities.